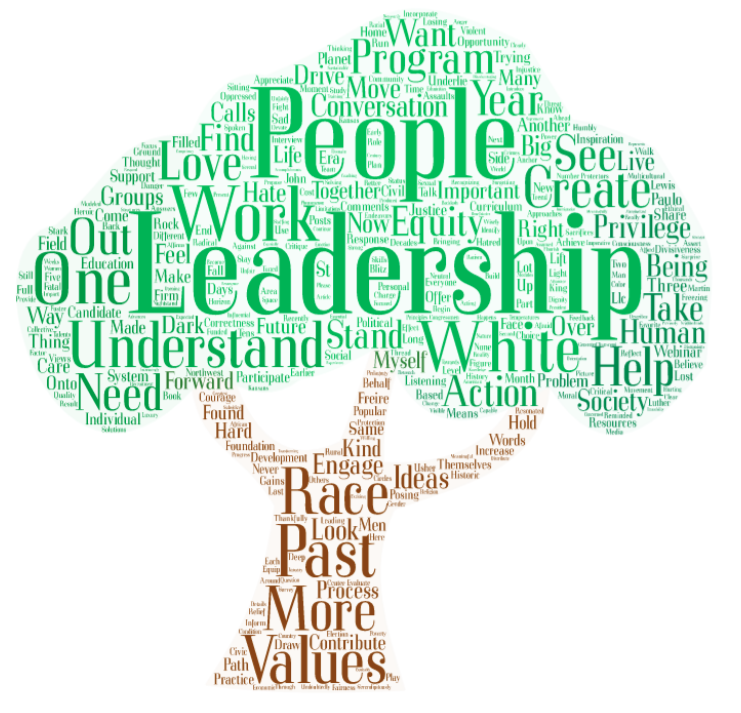 What would it look like to bring a Racial Equity Lens to Leadership Development? You can help us to answer this question! 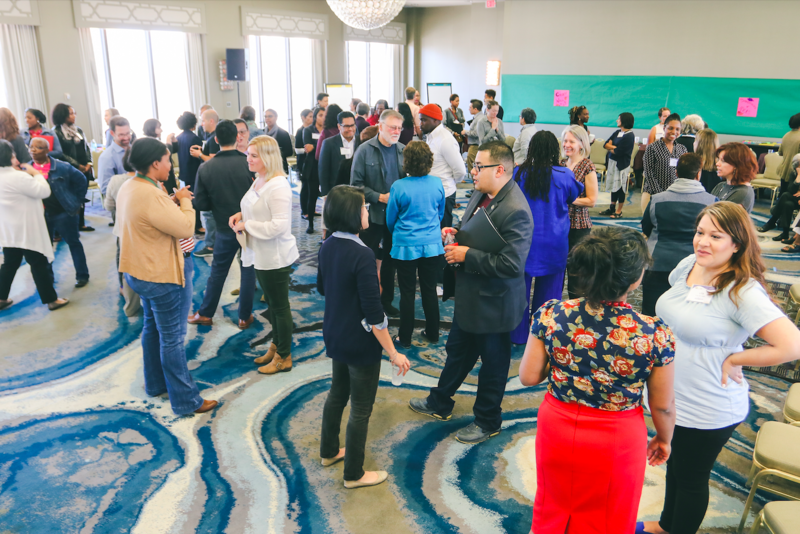 A couple weeks ago, I was talking to a funder who asked me about tools and resources that would be useful to grantmakers and people designing leadership programs; people who want to ensure that programs contributing to racial equity are supported. 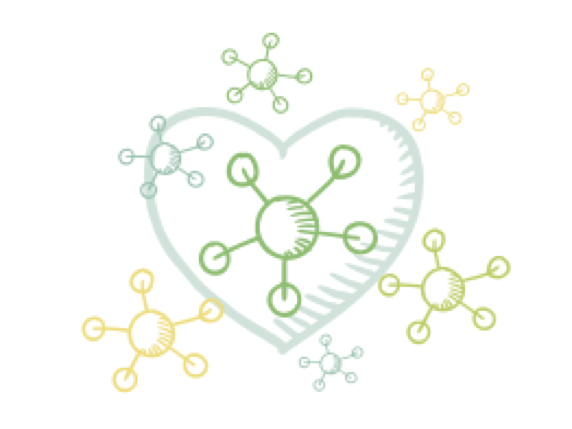 I shared some of the resources that I knew of, and then it occurred to me….there are tons of smart people doing great work at the intersection of leadership and racial equity. Please join us for a conversation with Ericka Stallings from the Center for Neighborhood Leadership as she shares lessons from 10 years of experience about what makes an effective and transformative support model for developing indigenous community leadership. She will cover a lot of ground including learning from mistakes, intentional selection, working on real problems, putting in the time it takes, compensation, what it means to reclaim leadership and more. 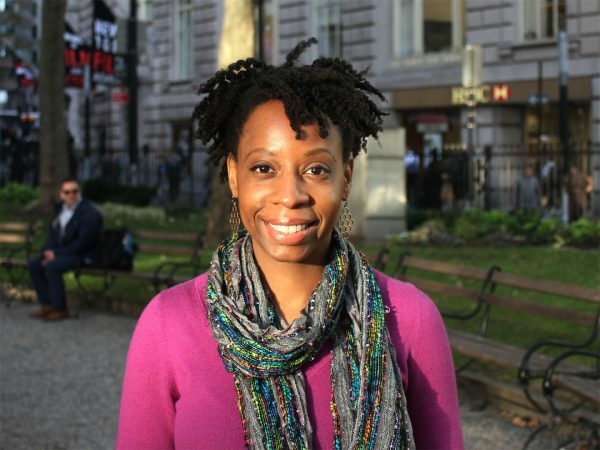 Her lessons are deeply rooted in the view that communities of color and other marginalized communities do not need external actors and have the wisdom and talents needed to take on complex problems with the appropriate supports. We hope you can join us for a thoughtful conversation that will help us to think differently about leadership development. If you would like to read a great blog post by Ericka in preparation for the webinar you can find it here. To read more about why we are transforming our leadership development, read our LLC Executive Director's thoughts here. People of color strongly encouraged to apply. LLC is a fiscally sponsored program of Community Initiatives, a 501c3 nonprofit organization. Leadership Learning Community is an 18-year- old national nonprofit organization transforming the way leadership development is understood, practiced and promoted, primarily within the nonprofit sector. We believe that the dominant leadership development model must be challenged in order to address the needs of all who lead and are invested in developing leadership! By centering the experiences of folks most impacted by racism and inequity, we work towards transforming leadership development approaches and systems to reflect and create an equitable world by tapping into the potential of everyone seeking an opportunity to better society. We know that we need a meta-shift in how we understand and develop leadership if we are going to produces systems change. This means leading and learning together through equity-based, networked and collective leadership to innovate new interventions that challenge the dominant way of thinking about leadership development. We do this by making the case of more expansive understanding of leadership, by constantly exploring and working the edge of where practice can shift and by building the field. This in turn will create a just and equitable society. I am excited to announce that we are beginning the search for a Co-Executive Director. It’s an idea that has been percolating in me for some time now, and for many reasons. As you may have noticed, the tagline for much of what we write is…”promoting equity-based, networked and collective leadership.” Obviously, if we want to debunk the heroic individualist model of leader in favor of more collectivist models of leadership as a process, it does not make sense to embody the ‘go it alone’ individual ED model, even though we are also trying to flatten out the hierarchy which also has to happen. We have been following the move by well respected colleagues in our field who have already made this move, MAG, Movement Building Project, Center for Movement Strategy, the Whitman Center and also coming on board CompassPoint. We have had a lot of conversations about this, and we are jumping into it with our eyes wide open about all that can be great, and all that could be challenging, so ... before going into the details, I want to spend more time on why this is so important. Non-profit organizing institutions have long struggled with the fact that their leadership is disproportionately white and middle class. 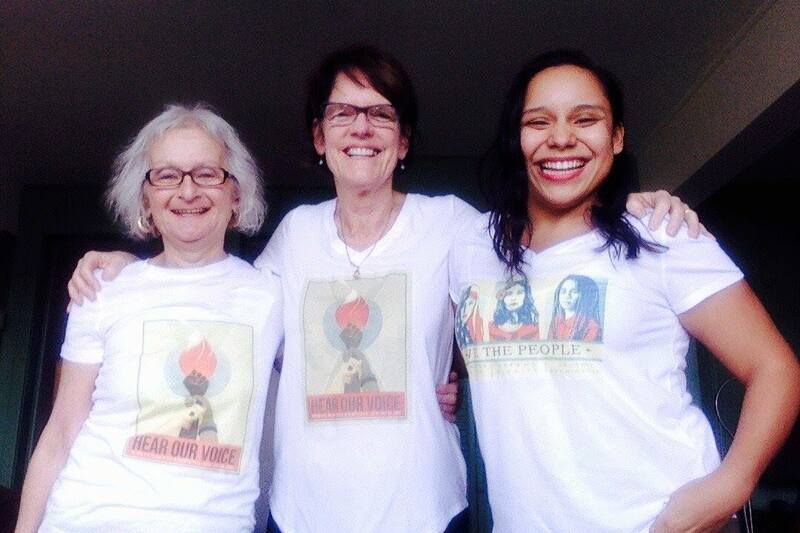 We all know that our organizing will ultimately be more effective and more grounded in a true commitment to justice, if the primary actors are directly impacted people, those who come from the marginalized communities in which we work. Yet, for many reasons, groups in the Community Development movement too often fail to achieve this. 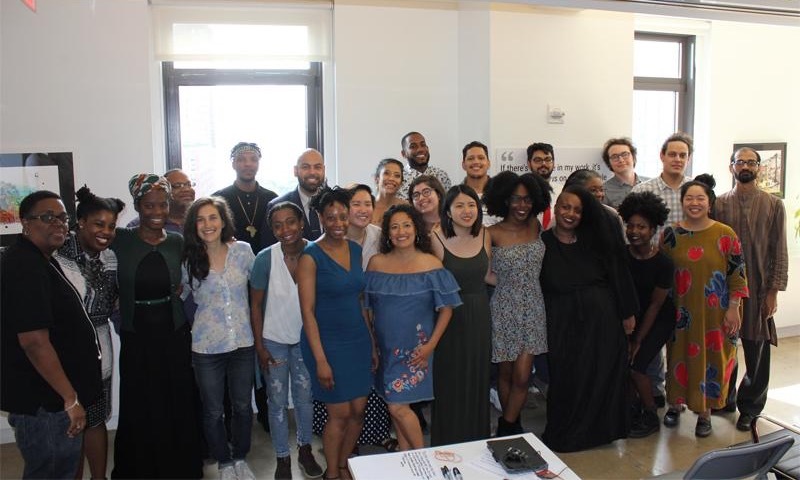 Cultivating movement leadership of color must include an effective approach for recognizing, attracting, and training new community organizers of color, then supporting them as they hone their skills to more advanced levels. But even here - or maybe, especially here - our movement falls short; we have seen that it is consistently difficult for people from marginalized communities to overcome the barriers to both entry and advancement in community organizing. Consequently, people of color and other marginalized people are grossly underrepresented in leadership positions . There are many reasons for this, including implicit bias and the glorification of mainstream career and educational backgrounds, both of which hinder the recognition of candidates from marginalized backgrounds. Consequently, our organizations often ignore or undervalue the critically important skills and experiences that directly-impacted leaders can bring to movement organizations. 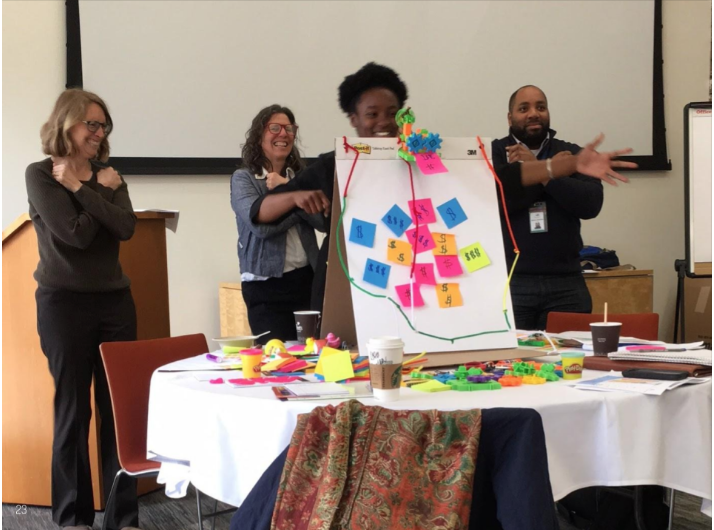 Looking back over the last year of the Action Learning Seed Fund's community of practice, a major theme that surfaced was how to hold and wield the power of our full intersectional selves in racial healing and equity work. This is complex and exhausting work to name inequity and hold space for racial healing between different communities and within the same community. Our group of eight people struggle with patriarchy, sexism and misogyny among leadership within our communities, for instance. We work with these leaders to confront Islamophobia or xenophobia, to have courageous conversations with other communities, and to salve historic and current racial wounds. At the same time, we need to call these (often male-identified) leaders into sharing power and leadership with women and gender non-conforming people. This can be particularly challenging when there are formal gendered roles (e.g., in a religious institution). LLC Webinar | Leadership and Large Scale Change: Are We Setting Our Sites High Enough? People who are putting their time, energy and resources into supporting and cultivating leadership are for the most part doing the work to advance meaningful change and social justice. Our learning about this work is struggling to keep up with our change aspirations. It's not enough to know that participants believe they are better leaders without answering questions about the ways in which leadership development work is creating equity and contributing to concrete changes in the health, education, and wealth of all. This webinar will share findings from a collaborative research efforts between leadership Funders and Evaluators to understand what we can achieve through leadership investments, how we can know, and what we are learning about the kind of leadership we need to contribute to greater equity. At Creating Space, Elissa Perry shared a framework on White Supremacy Culture from Tema Okun and Kenneth Jones as she invited us to reflect on the ways in which this culture shows up in our organizations. Since then, I have been thinking about how these characteristics are often the default in our leadership development practice as well. Today, I wanted to discuss the remaining characteristics which fall into two areas: how we value what we do, and how we address power and conflict. Since 2000, The Leadership Learning Community has been a national nonprofit organization transforming the way leadership development work is conceived, conducted, and evaluated, primarily within the nonprofit sector. We believe that the dominant leadership development model must to be challenged in order to unleash and support the leadership of all people working toward social justice. We care about lifting up, learning from and promoting leadership that is equity based, collective in nature and networked. We currently have an exciting opportunity to join LLC’s staff.